Reduce water consumption — and your monthly utility bill — by filling your garden with native plants. According to the Environmental Protection Agency, more than 30 percent of all household water use is for outdoor purposes. Half of that amount is used for watering lawns and gardens. If you live in a neighborhood with a homeowners association, you may be subject to rules that encourage you to keep your lawn green year-round. However, as a gardener, you do have some control over what you can plant. If you want to reduce water waste and cut down your monthly utility bill, consider cultivating native plants. Native plants are plants that have adapted to your local climate. They may have already been growing there or in similar areas. In addition to attracting beneficial insects, native plants require less maintenance, including little to no additional fertilizer or pesticides. Since native plants are adapted to the climate, you know that they'll grow. They’re also rarely invasive, so you'll never have to worry about them taking over your yard and garden. If you want to reduce your water use, native plants can help. 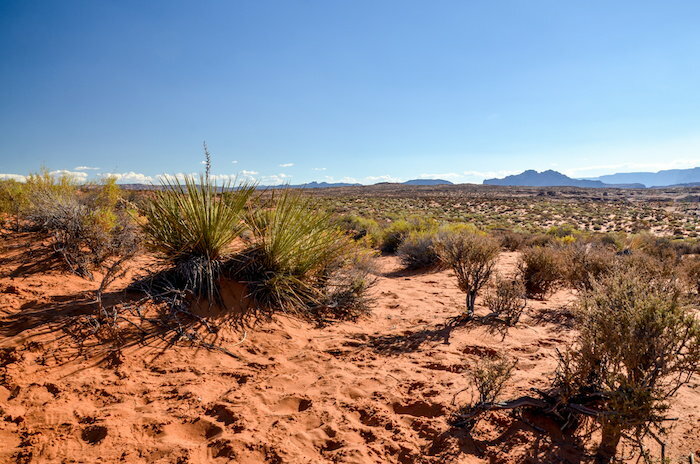 The reason is simple — they require less irrigation than their non-native counterparts because they’re adapted to the amount of rainfall in the area. Native plants reduce the risk of overwatering, thereby reducing the number of harmful chemicals that end up in your local waterways. As water conservation becomes more important (especially in drought-prone regions), native plants also help ensure that your home maintains a high level of curb appeal, even in the face of water restrictions. The EPA reports that planting native plants reduces outdoor water consumption by as much as 50 percent. What’s Native to My Area? What’s native in the Pacific Northwest is different from what’s native in the South or the Northeast. To learn more about the native plants in your area, contact your local Cooperative Extension, whose "Master Gardeners" are always on hand to help you figure out what to plant and answer your other burning gardening questions. Your local botanical garden is another good resource to use. 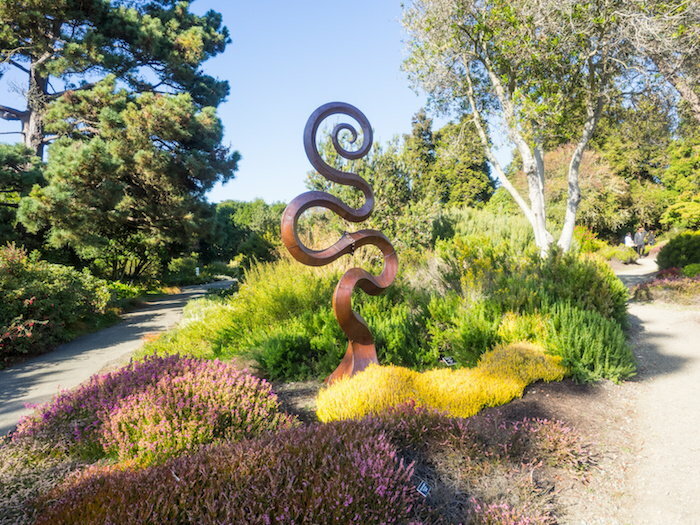 Not only do many of these gardens have native species growing throughout them, but they may also keep their native varieties in a separate, special area and have some for sale in the gift shop. Several non-profit organizations, including The Xerces Society and the National Wildlife Federation, will also help you find the plants that are best-suited to your area. While the Xerces Society features downloadable PDFs for your region, the National Wildlife Federation finds plants based on your zip code. If your garden is full of non-native plants, don’t worry. 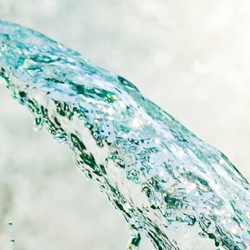 There are plenty of ways to reduce your water consumption and the bills that come with it. If your garden is already full of native plants, these strategies can still help you cut back on water. Check Your Soil: Good gardening begins with healthy soil. What kind of soil do you have? Sandy soil allows water to pass through it quickly, which means you’ll have to water your plants more often because they won’t have enough time to adequately absorb the moisture. Fill your soil with organic matter like compost or composted manure to improve its texture and ability to hold water. 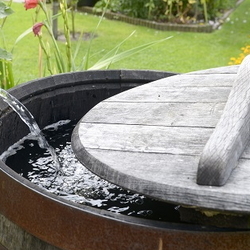 Not only will you use less water, but your plants will be healthier, too. Mulch: Mulching ensures that the soil stays moist by reducing evaporation and prevents weeds from growing and competing with your plants for nutrients. Use chopped or shredded leaves, straw, compost, grass clippings, etc. to keep the moisture where the plants can get it. Water the Roots: Many people use a regular sprinkler system, which is only 40 to 50 percent efficient. Focusing your watering efforts on the roots guarantees that your plants will get the water where they need it most instead of losing it to evaporation. 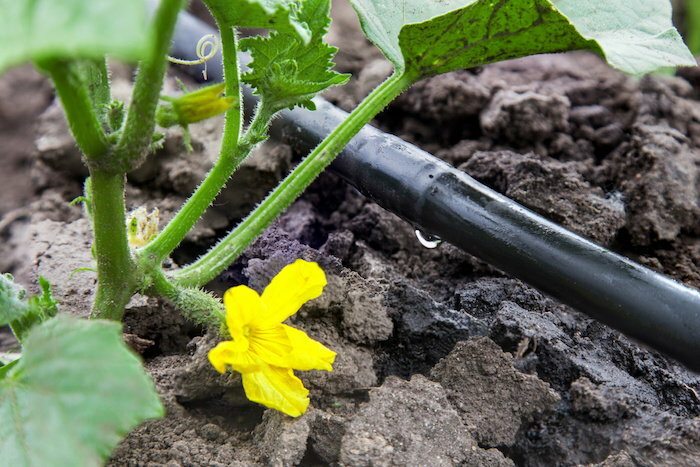 Soaker hoses and drip irrigation keep water at ground level. While soaker hoses saturate the area around the plants with moisture, drip irrigation systems drop water slowly around the roots. Both options will reduce runoff and improve your soil's absorption rate. Studies show that soaker hoses alone are 90 percent efficient! Timing is Everything: Connect a timer to your current irrigation system to control how often and for how long your plants receive water. Save even more water by installing an automatic rain sensor, which will shut off your sprinklers when it detects rain. Place a Rain Gauge in the Yard: This will help you see how much precipitation your area is receiving each and every week. If you get about an inch, you can often skip watering for that week, especially if you’ve planted native plants. 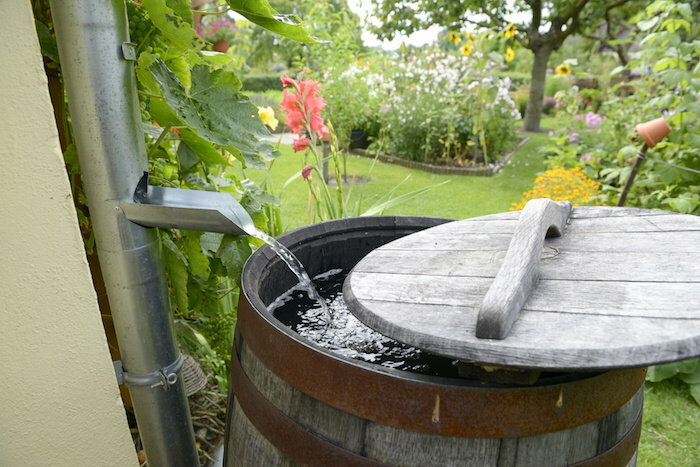 Collect Rainwater: Place a rain barrel or cistern next to your home to collect rainwater from the downspouts of your gutters to use in the garden. If you live in an area with rainy winter and spring seasons, the water you collect should be enough to irrigate your plants during the drier summer and fall. Plan Your Plantings: Before you put on your gardening gloves and pick up a shovel, take a look at your garden and note the places where water naturally accumulates and where it's sunniest. Then, group your plants together according to their light and water needs, meaning put drought-tolerant plants together, water-intensive plants together, and so on. This will allow you to focus your irrigation efforts on the plants that need it most, which is ultimately better for all of the plants in the garden and may reduce the incidence of pest and disease outbreaks. 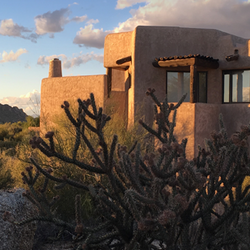 While the amount of money you’ll save is specific to your household, planting native plants and improving your irrigation habits is sure to reduce the cost of your monthly utility bill.